It is with pleasure we announce Barbara Minsker as a newly appointed Hunt Institute Senior Fellow. The Hunt Institute Senior Fellows are appointed for their expertise and demonstrated excellence in their fields. During their two-year tenure, they will collaborate on projects and contribute to the endeavors of the Institute. Barbara Minsker, a nationally recognized expert in environmental and water resource systems analysis and informatics, joins SMU this fall as chair of the Civil and Environmental Engineering Department, Bobby B. Lyle Professor of Leadership and Global Entrepreneurship, and Senior Fellow in the Hunt Institute for Engineering and Humanity. Minsker previously served as professor and Arthur and Virginia Nauman Faculty Scholar in the Department of Civil and Environmental Engineering at the University of Illinois Urbana-Champaign (UIUC), where she began her career as an assistant professor in 1996. 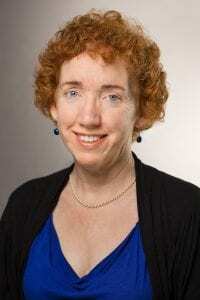 She was also a faculty affiliate at UIUC’s National Center for Supercomputing Applications. Prior to her academic career, Dr. Minsker was an environmental policy analyst in the Washington, D.C., area. She received the ASCE Environmental and Water Resources Institute (ERWI) Outstanding Achievement Award and the ERWI Service to the Profession Award as a result of her extensive leadership background and experience. She has led major collaborative programs in research, education, and outreach in various roles including: PI of the WATERS Network, an NSF-funded project for advancing water resource science and management; Associate Provost Fellow who developed and implemented University of Illinois sustainability education and research initiatives; and founder of two start-up organizations. Minsker received a B.S. in operations research and industrial engineering and a Ph.D. in civil and environmental engineering ‒ both from Cornell University.